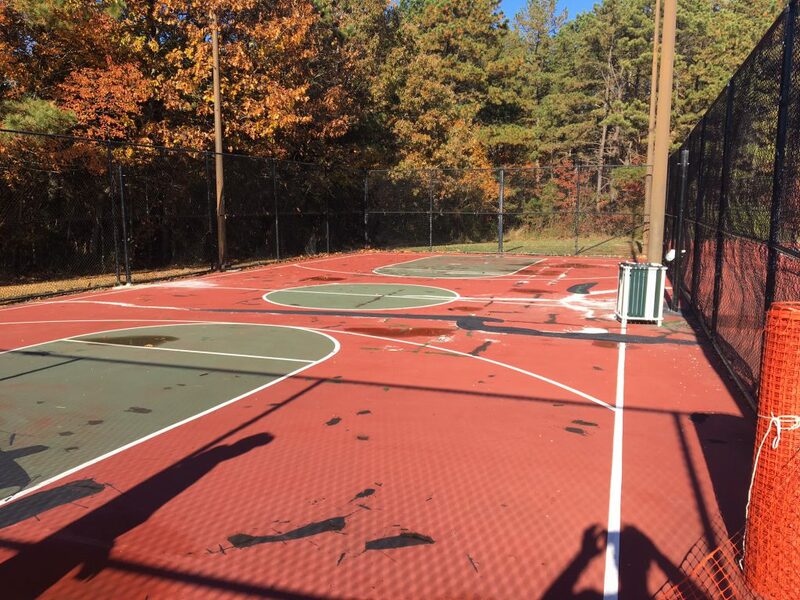 At the Hamilton Green Apartment complex in Hamilton, NJ the basketball court was in complete disrepair. 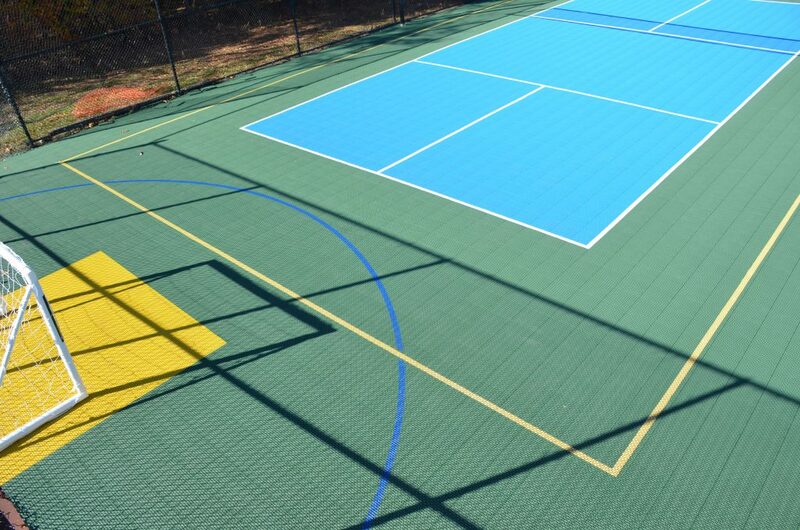 There was chipping and cracking in the asphalt and the court looked unplayable. 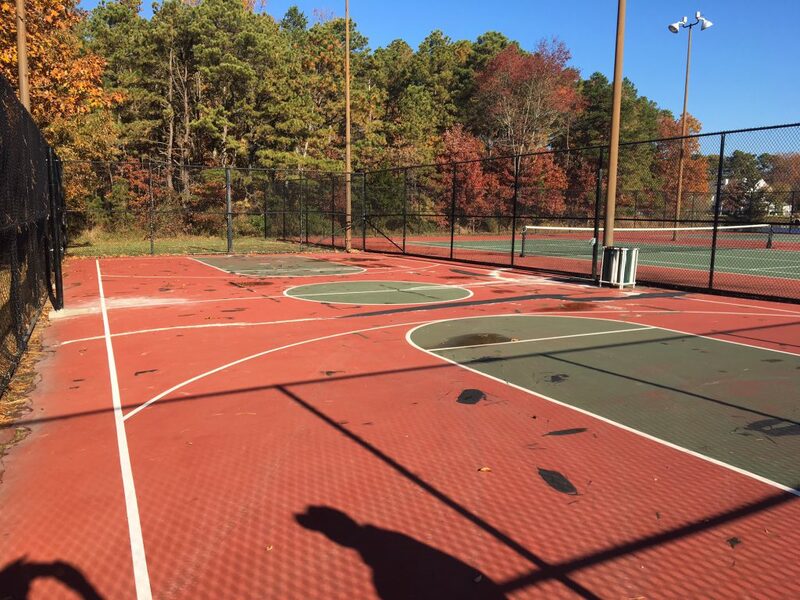 Due to the bad state of the basketball court, it wasn’t being used. 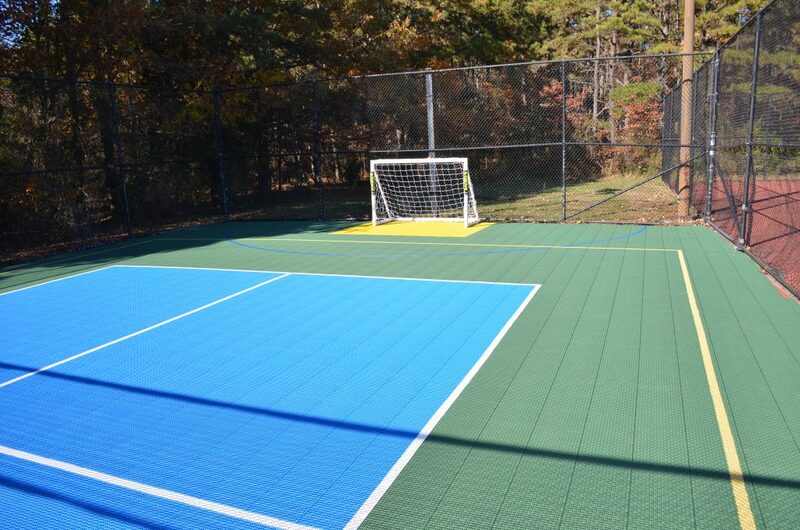 There was also a big demand for soccer, volleyball, and pickleball, with its rising popularity. 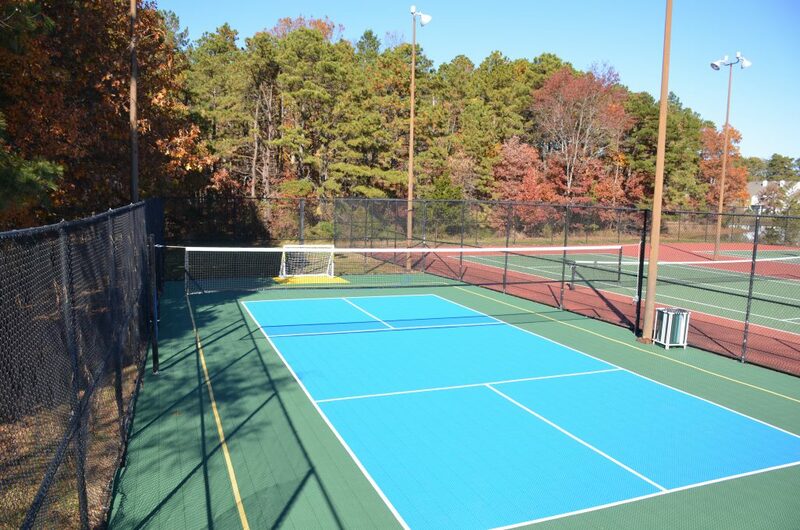 DeShayes Dream Courts was called to remedy the situation. 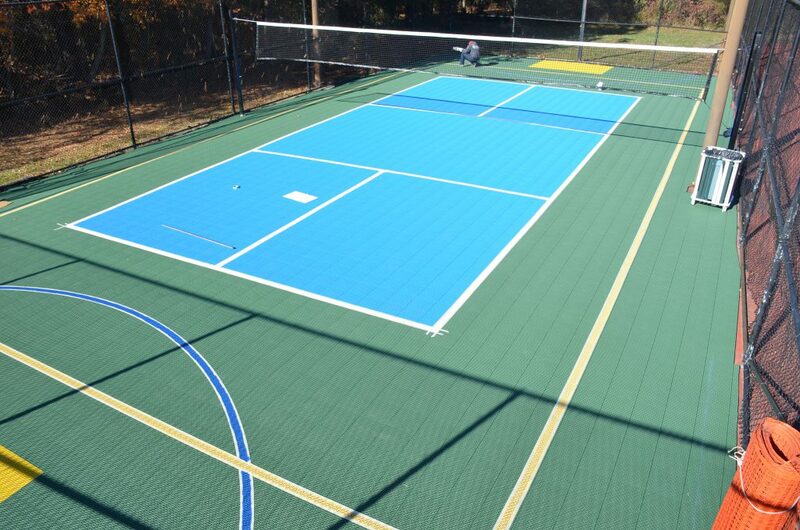 First they did the crack repair on the painted asphalt surface. 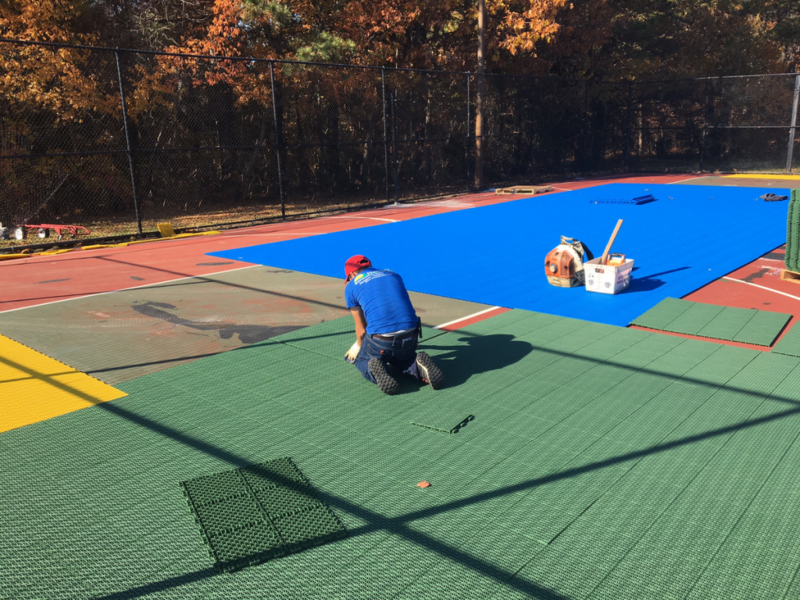 Then they installed sports flooring on top of the asphalt, put in net posts with net adjustment system, and put small soccer goals at both ends. 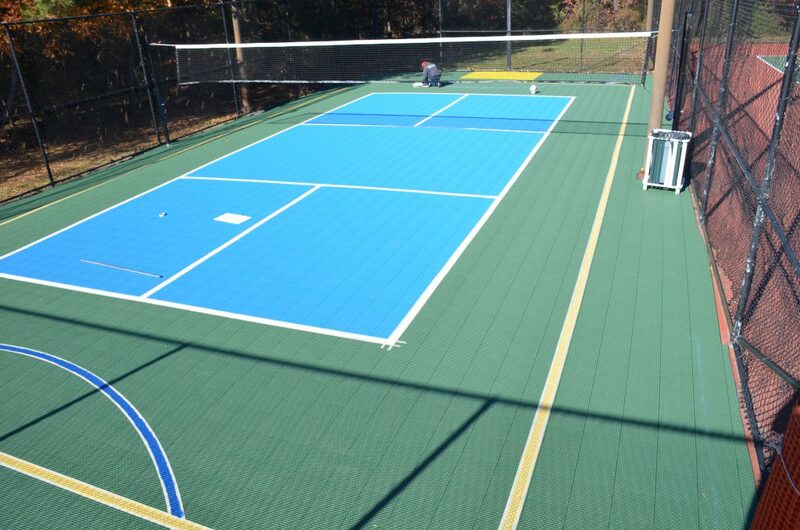 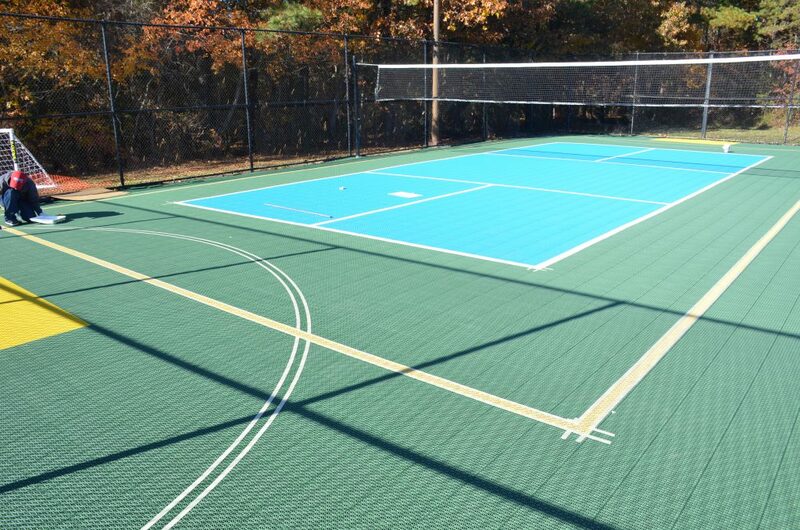 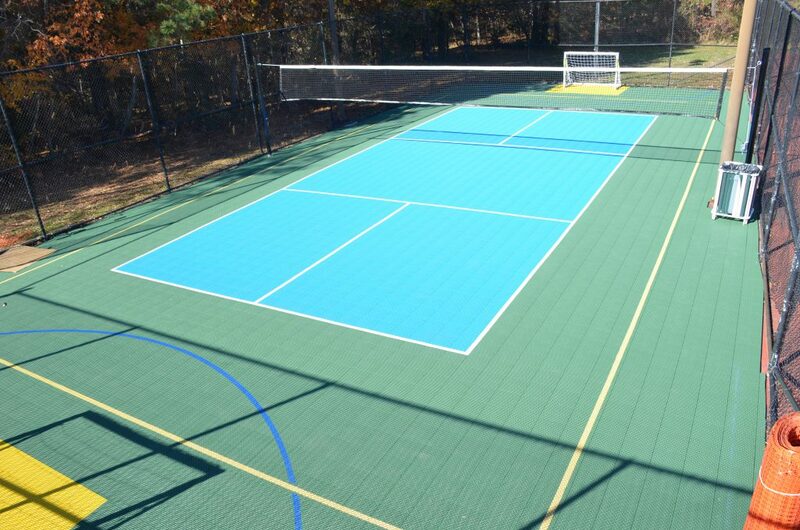 Finally, DeShayes painted pickleball, volleyball, and soccer lines, all in different colors so people wouldn’t get confused with the multiple sports offered to play on this single court. 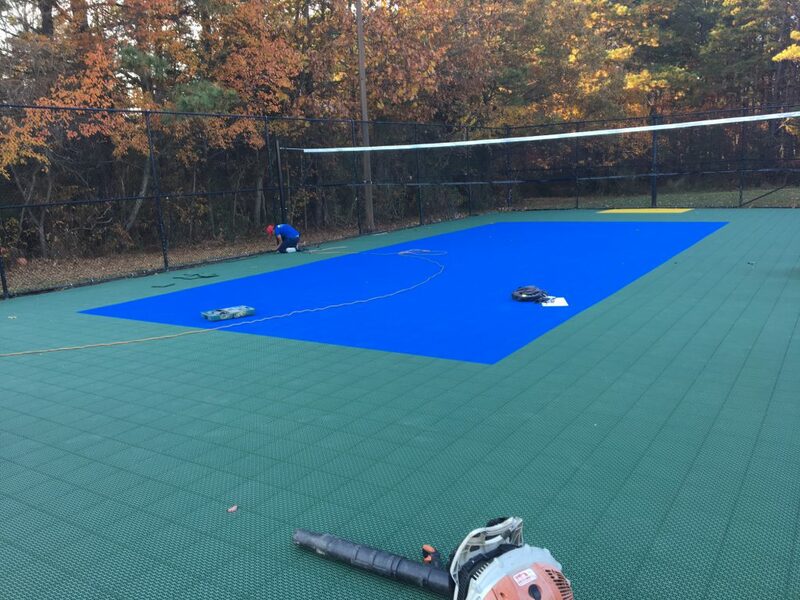 Yellow for volleyball, white for pickleball, and blue soccer. 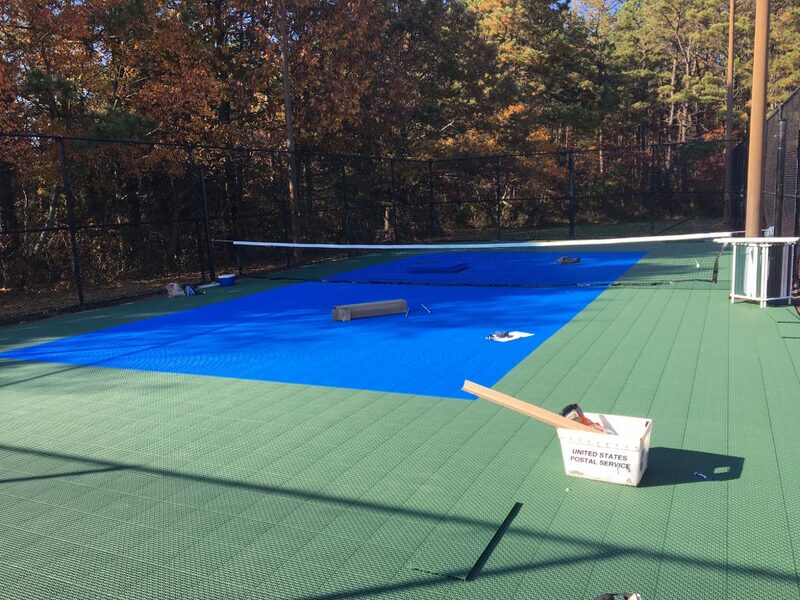 See the the before, during, and after stages of the project in the photos below!